Britain Boxing - George Groves v Fedor Chudinov WBA World Super-Middleweight Title - Bramall Lane, Sheffield - 27/5/17 Ring announcer Michael Buffer during a minutes silence. 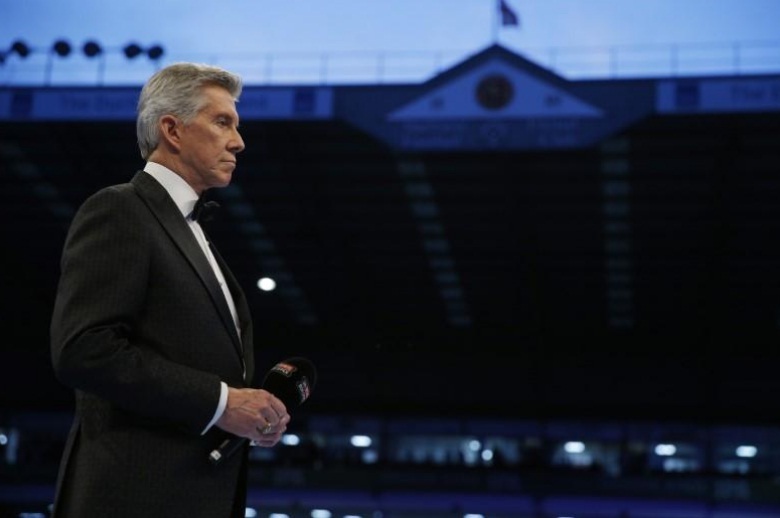 LONDON - Formula One’s American bosses have hired boxing announcer Michael Buffer to bring some big fight buzz to the title tussle between Lewis Hamilton and Sebastian Vettel at this month’s U.S. Grand Prix. Buffer’s rolling vowels and drawn-out signature call of ‘Let’s get ready to rumble’ after introducing the contenders have become a hallmark of the biggest bouts from Las Vegas to London. “Now is my time to introduce the world’s finest racing drivers,” Buffer, 72, said in a Formula One statement on Saturday. Commercial managing director Sean Bratches said it was all part of Liberty Media’s commitment to “build the entertainment factor in Formula One” since the U.S.-based company took over the sport in January. The governing FIA had granted one-off permission, backed by all the teams, for the pre-race show at the Circuit of the Americas in Austin, Texas, to start 15 minutes earlier than usual on Oct. 22. It is the second time that Liberty have succeeded in changing the tightly-scheduled program for the only round of the championship in the United States. Saturday’s qualifying session will start later than last year to bring the session closer to a Justin Timberlake concert at the circuit. The music is a big draw for families and younger fans, who might otherwise have to wait around for hours in between the track action and headline act that has provided a big boost to ticket sales. Liberty want to grow the sport in North America, a region they have identified as full of undeveloped potential. There has been talk of adding a second U.S. race to the calendar after 2018. Formula One’s American bosses have hired boxing announcer Michael Buffer to bring some big fight buzz to the title tussle between Lewis Hamilton and Sebastian Vettel at this month’s U.S. Grand Prix.